It’s been one year since a simple, yet powerful hashtag took the nation by storm. Since the allegations of sexual misconduct against Harvey Weinstein were revealed, the #MeToo hashtag became a global movement to demonstrate the widespread prevalence of sexual assault and harassment, especially in the workplace. For several Maryland women leaders, the #MeToo movement has been the catalyst for reform — on multiple levels. Just like Dr. Christine Blasey Ford, Nina Smith, co-owner of Megaphone Strategies based out of Washington, D.C., testified before legislators, sharing her own personal story of sexual assault while working in the Maryland legislature. Smith became the voice and the face of a bill that would give survivors a safe place to report sexual harassment. Modeled after the federal government’s ME TOO Congressional Act, Smith wanted this bill to change how the legislative branch of Maryland government treated sexual harassment complaints. “We had a few pillar things we were looking for: creating an independent process where staffers could report instances of sexual harassment, increasing the amount of training, awareness and consent, and establishing basic protections for legislative staffers who weren’t covered under the current code,” Smith says. She, along with supporters of the bill, also wanted more transparency, so workers knew who may have been previously reported. After grueling testimonies, Smith’s efforts were successful, and the Legislative Branch of Government – Sexual Harassment bill was passed. But not without several amendments that in Smith’s view, watered it down. The bill went into effect Oct. 1. While Smith believes this reform has moved the state in the right direction, there’s still more work to do. “The #MeToo movement has introduced and unleashed new leaders. In the past, we may have been forced to stay silent, but this movement has allowed us to process what has happened to us, and to turn that pain into focused leadership,” Smith says. As President of the Executive Alliance of Baltimore, an organization that is solely focused on the advancement of women in executive positions, Patricia Lambert says the #MeToo movement has created a powerful shift in the community — and, ultimately, showcases the important need for more conversations, and more women in leadership. Each year, Executive Alliance issues a census report detailing the number of women in advanced roles in publicly-traded companies located in Maryland. According to the 2018 census, women hold 15 percent of board seats in Maryland, but lags behind the national average of 22.2 percent for Fortune 500 companies. Maryland has lagged behind the national average every year for the last 10 years. “This is unfortunate because those companies that have women in leadership do better economically. Diversity makes us stronger,” Lambert says. The significant lag in Maryland’s female leadership is why her organization supported a joint resolution in the 2018 General Assembly session that would promote equitable and diverse gender representations, and asked Maryland organizations to commit to gender diversity in leadership, attaining a minimum of 30 percent women directors by 2021. The resolution failed. But Lambert is hoping to have voluntary inclusion as a result of the #MeToo movement, and will continue leading her organization’s efforts to put more women in leadership roles. She, too, is grateful for the attention this movement is getting as it will continue to drive change, and she says, may prevent issues in the future. The most important part, she says, is to find consensus on what that future looks like. “We are almost at the 100th anniversary of the passing of the 19th Amendment giving women the right to vote. But, it’s clear, that there is so much more that needs to be done, and I worry that we do not have a consensus on what that work is — and that is exactly why we need to continue to have these conversations,” Lambert says. Leigh Goodmark, director of the Gender Violence Clinic at the University of Maryland Carey School of Law, agrees that the #MeToo movement has revealed that there is no consensus on what the conversation needs to be. She also believes the movement has displayed major deficiencies in our legal structures. “Thousands of people on various forms of social media came out and said they were raped or sexually assaulted and they never reported it. The structures were built for people to report — but it’s evident that most people don’t report and don’t take it to law enforcement,” she says. While 25 to 85 percent of women say they experience sexual harassment at work, few ever report the incidents, most commonly due to fear of reprisal, according to a 2016 report from the Equal Employment Opportunity Commission. 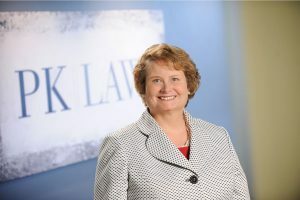 Goodmark has represented people subjected to abuse for over 25 years, and is the author of “A Troubled Marriage: Domestic Violence and the Legal System.” She believes that the real work may not be in overhauling the legal system, but changing the culture to where sexual assault is unacceptable. That begins in the communities, and for her, also in her classrooms, where her students will become future practitioners of the law. 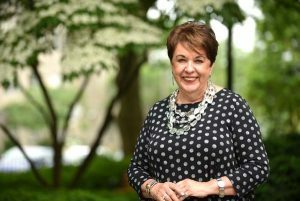 Debbie Phelps, executive director for the Education Foundation of Baltimore County Public Schools, is also focused on the next generation — in the hopes of creating a positive culture shift around women. “This movement is about equality, and women are establishing confidence within themselves. There has to be an educational component to teaching the next generation,” Phelps says. Through her leadership on the Education Foundation, she instills a culture of diversity within her boardroom, and believes that mentorship is an important component to continue these conversations beyond the boardroom about what is appropriate and inappropriate. The #MeToo movement has been a valuable tool for change, and has lifted up voices that may never have been heard. “Voice is good — everyone’s voice needs to be heard,” Phelps says.